See some of Paradigm Ventures' preferred products and how they can be used. Before you finalize your building plans, get a free estimate from Paradigm Ventures. Come see the Paradigm Ventures team at our Edmonton Home & Garden Show booth! We are there every year and look forward to meeting you and sharing all the latest exterior product innovations with you. Save the date for the 2015 exhibition, which will be March 19-22 at the Edmonton Expo Centre. Paradigm Ventures strives to meet the ever-changing new construction needs of Edmonton’s residential and light industrial markets. 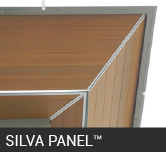 We supply and install all different types of exterior cladding products, including vinyl siding, HardiePlank®, CanExel® PVC cellular siding, fibreglass siding, steel siding, shakes, soffit, fascia, continuous eavestroughing, custom aluminium shapes, louvers and deck railings. 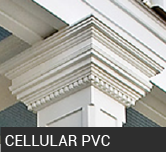 Paradigm Ventures was founded in 1994 by the team that started our sister company, Classic Exteriors. Paradigm Ventures serves the residential/commercial new construction market, as well as the commercial exterior renovation market. 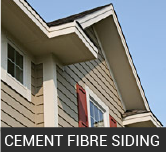 Classic Exteriors works specifically on residential exterior renovations. Our founders are entrepreneurs who used their background to work up to management and then start their own business. Together, they have more than 70 years of experience in commercial exterior renovations and new construction. 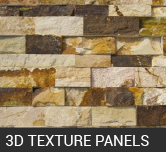 Take a look at some of our featured products and get inspiration for your next project!